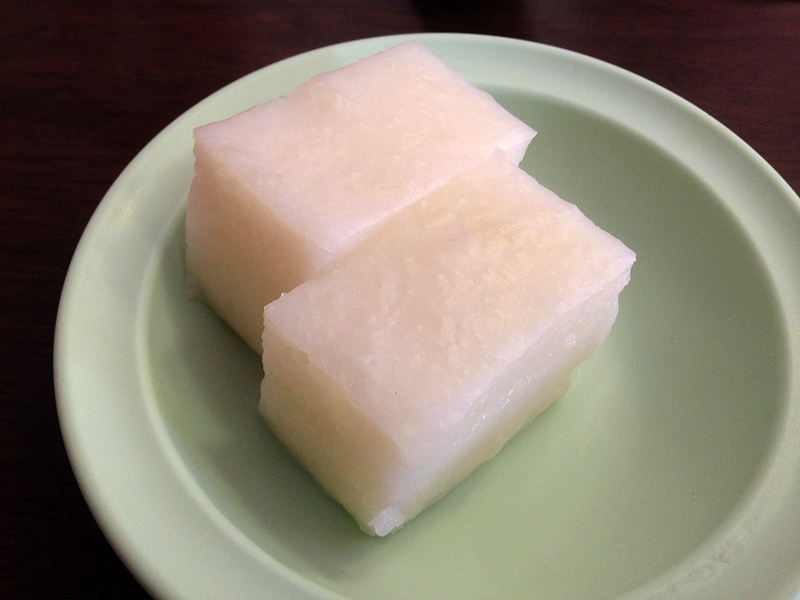 This is a coconut and taro based dessert. It has a gelatin-like consistency and tastes a bit like rice pudding, but with a smooth texture. Extremely delicious, but not too sweet. A great way to end a Hawaiian meal!